Air France AF1184 flight from Paris to Tunis has safely landed in the French capital’s Charles de Gaulle Airport, after it declared an emergency and diverted. The plane was about an hour into the flight when it unexpectedly carried out a U-turn, as reported by Airlive.net. BREAKING We have confirmation Air France #AF1184 to Tunis safely landed at Paris CDG after reporting technical issue. There has yet been no comment on the nature of the problem, which made the plane divert. 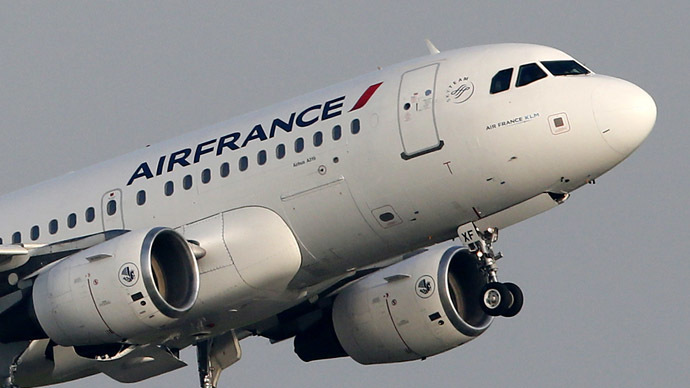 The emergency landing was first set to land in Nantes, but then flew on to Paris. The plane was reportedly sending out the 7700 distress signal, which is reserved for general emergencies. The incident comes about a week after two Germanwings planes made unscheduled landings within 24 hours of each other. A Germanwings plane crashed in the Alps on March 24, killing 150 people in what is suspected to be a mass murder-suicide by the plane’s co-pilot.